Walmart the world’s largest corporation 8,500 stores in 15 countries and its likely entry into India has turned into a nationwide debate. To revive the slowdown in the Indian economy the Indian government recently announced the approval of foreign direct investment (FDI) in multi-brand retail and a few other key sectors. This decision to allow 51% FDI in retail will impact the $500 billion multi-brand retail market dominated by the small convenience stores. A number of multinational corporations like Walmart, Tesco PLC and France’s Carrefour SA , French Groupe Auchan SA are on a wait and watch mode. Walmart is already in India in partnership with Bharti Group but only in the back-end operations. Once the FDI is passed in parliament Walmart proceed to go beyond the back-end wholesale (cash-and-carry) stores format ad face the Indian consumer at the front-end. With more retailers like Tesco PLC and France’s Carrefour SA likely to follow suit it may prove to be a game-changer for the entire Indian retail landscape i.e., the consumer, the middlemen and the traders and the small farmers. This announcement has created a backlash from the small retailers and the middlemen who feel their businesses will shut down and there is also a fear that farmer profits would be squeezed out. A plethora of rules and regulations need to be understood and adhered. Govt. policy makes it mandatory for foreign single-brand and multi-brand retail companies to meet the 30% local sourcing norm at an aggregate level in their first five years in India (it can be lower at the beginning, but that the average over five years should be 30%). This would stimulate growth and employment in small & medium size industries. It’s not going to be easy. Multinationals like Walmart will have to take-on a complex web of strategic and operational challenges to get their products to the consumers. The weak infrastructure and communication systems will pose problems and a long gestation period to breakeven is expected. 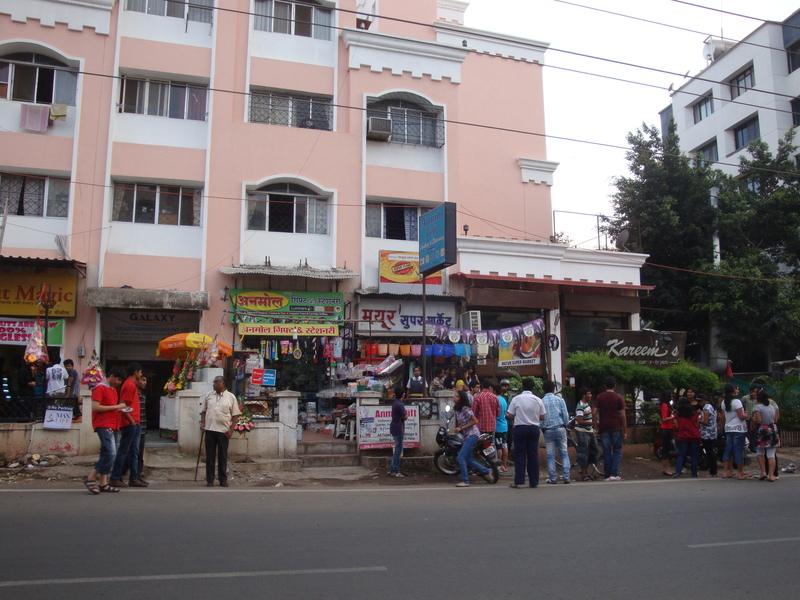 At one extreme there are the myriad of small to medium retailers – Kirana (Mom & Pop) stores, hand cart and pavement vendors known as unorganized retailing which constitutes 98% of the retail market. On the other end the robust network of larger modern Supermarkets and Hypermarkets like Reliance Mart, Big Bazaar, Vishal Megamart, Spencer Retail’s & Aditya Birla’s More and D-Mart which is only 2% of the market share. 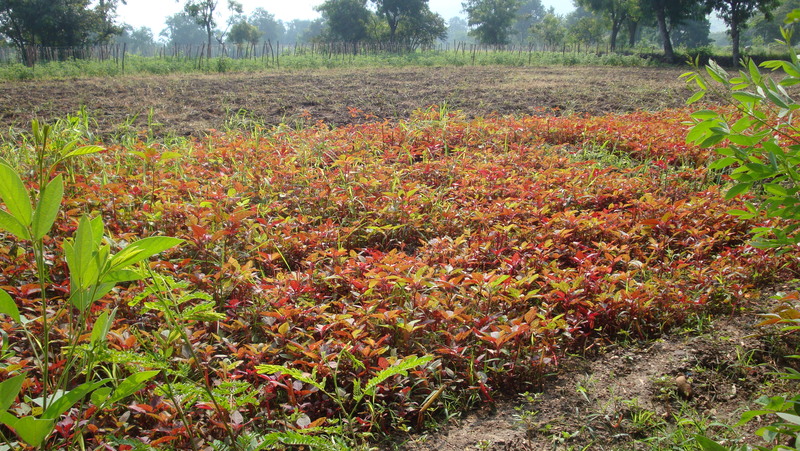 Unlike the US where Wal-Mart buys from only a few hundred farmers in India they will need to create a system to contract with thousands of fragmented cultivators. For this Walmart can learn from the much acclaimed ITC’s e-chouphal value chain system of farmer to consumer. While the $400 billion Walmart’s worldwide dominance is well known it did fail to read the market well enough in Germany and had to close shop. Similarly in South Korea it did not read the consumer mindset especially of the housewives and had to pull out. products are stocked. The range of inventory and space economics is brilliant – you ask for it and you get it – never overstocked so a low working capital. He knows his customer well and even offers a month of credit as well as home free delivery services. The Indian housewife does not need to plan for a week’s shopping. A large segment of shoppers of middle and lower middle class may have small kitchen and so daily provisioning is the best way. concerned. The coming of super-marts and hypermarkets in the last 10 years did not hurt them. They know their strengths and the emotional connect they have with the customers. Moreover the India is not a stagnant economy and in a growing economy there is space for both to co-exist profitably. 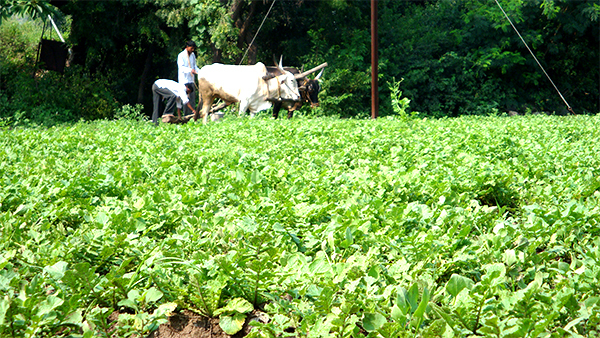 The mark-up on vegetables between the Mandi to the retail end is between 200 to 400 percent. The ultimate losers are the poor farmers despite their toil and risks and the end consumer. Some enterprising and cost conscious folk especially house wives brave the hustle bustle to the chaotic Mandi once a week. 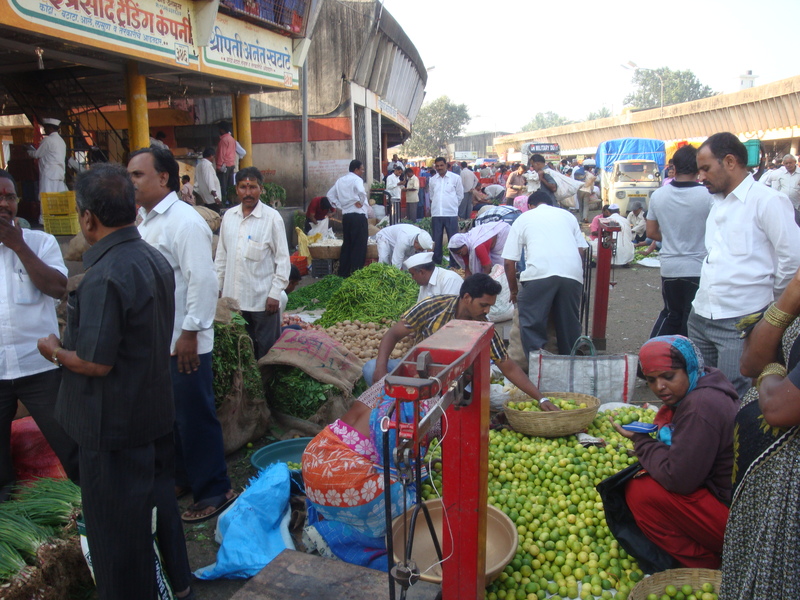 They buy the vegetables for the entire week’s requirement at wholesale price. But not many can do that. 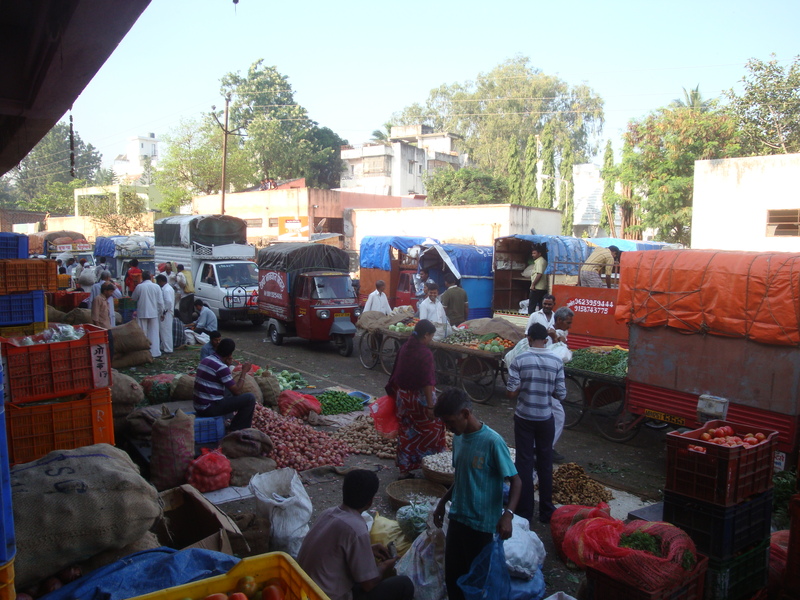 vegetables passes through a number of middlemen en route to the retail end. There is huge wastage due to lack of infrastructure facility such as cold chains and storage. The improved system will plug the leakages and larger volumes will move efficiently through a technology supported system. This will create more value for the consumer and the farmer. A higher farmer share of the retail price will be released. Even the traders would benefit by shopping directly from big box stores like Walmart instead of sourcing from the Sabzi Mandi. supplied to Walmart stores globally like grapes from farmers in Maharashtra go to consumers in UK. Bharti Walmart leverages its global value chain to provide technical knowhow and superior seeds for the farmer to produce high quality produce attracting more price. The learning and familiarization in India through its JV with Bharti will give Walmart a head start when it finally sets its own stores. Better and fair management of food storage, cold chains and elimination of the middleman will benefit farmers and the customer. More jobs will come up for the youth in setting-up of food processing units and for retail management. In addition employment opportunities will be generated in food, clothing, construction, packing, information technology, transport and cold storage, besides other basic infrastructure facilities. Posted by dilipnaidu on November 1, 2012 in Strategy - Global Business and tagged big box format, FDI, Globalization, handcart sellers, Kirana shops, Kofi Annan, multi-brand retail, pavement sellers, Sabzi Mandi, supermarkets, Walmart. This is an interesting post, Dilip. I wonder about Walmart now in 2015 and status of the Kirana stores? We have a Walmart close by where I live and it has given some of the smaller stores a run for their money for sure with lower prices than the smaller stores could afford to sell the same items. I appreciate your in-depth discussion in this post. Dear Christy so nice to know you read my post on Walmart’s India entry. Well looking back my expectations have not been on mark. Walmart is still operating a wholesale format under the name of Best Price. Kirana too are doing fine. Thank yo so much for the interest and time you took on this issue. With kindest regards. Thoughtful post on a big topic. How is Walmart doing since you wrote this post? How are the Kiranas doing? Excellent question. Keeping in view govt. policies WalMart made a strategic entry as a JV partner and gained considerable insights on the Indian retail market. 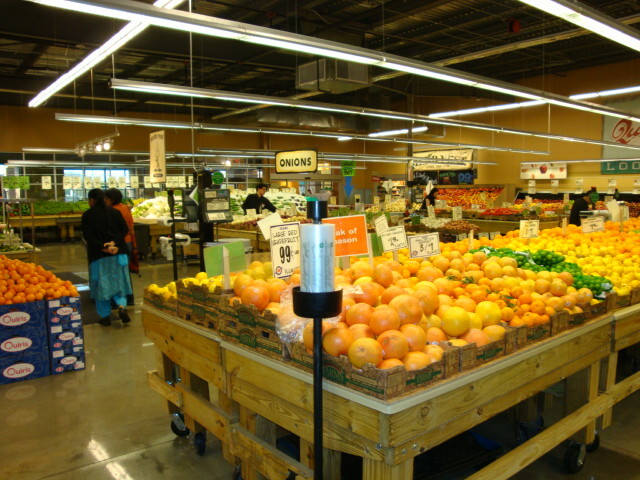 Later the partners separated and WalMart positioned itself as Best Prices chain of stores. They seem to be doing very well as they used their global value chain and local learning to develop innovative ways of coexisting and supporting the Kirana stores. Today both are in a win-win situation. I believe The same thought process which made India lose 50 years to socialism and later realise that opening up markets is the only option, is the one stopping the FDI in retail and the entry of Walmart in the country. The world is watching us. This can be a game changer of sorts, if the bill is passed then it would mean the flood gates of investment getting opened up. The Indian economy needs a breath of fresh air and companies like Walmart with huge cash reserves and high hopes can enter the market , invest, hire people bring competition in the retail segment, bring down prices etc. Good economics doesn’t make good politics they say and they have hit the nail on its head. Still, ‘umeed pee duniya tikki hai’, so I still hope that this winter session of parliament brings some cheer to the Indian economy and push the GDP past the 9% mark again. Welcome Shreyas that’s an excellent review on the FDI debate and Walmart’s entry. I too tend agree with you on all counts and don’t see anyone losing out. The big ‘IF’ lies in the implementation as many structural and cultural issues will need to be fine tuned. So tomorrow is the FDI vote in the Upper House – the Lok Sabha and when it comes to numbers it is the Rajya Sabha where the voting will be nail-biting. Thanks buddy I appreciate your comments. “Ummeed par duniya tiki hui hai” is a nice saying!! But it is the process of FDI’s implementation and the safeguards in place which will save the day for us.Foreign Direct Investment in multi- brand retail is a double edged sword and if we hurt ourselves then it would be due to our shortcomings and not the retail giants to b blamed. Therefore, we cannot tikao our future on ummeed alone. Going by the history of our governance, as of now there is little hope that we can effectively save ourselves from the side effects of FDI in multi brand retail. This is the painful aspect which should remain in front of our eyes. talks about the ill effects of globalization and it is quite surprising to hear from Kofi Annan that globalization is as inevitable as laws of gravity. My concern is simple: Can we really base our critical decisions on arbitrariness without closely scrutinizing the facts? Both your comments resonate an understandable apprehension – on the one hand the Big Box retailers good intent and on the the other the our weaknesses given the poor track record. I am with you entirely yet looking at it positively we just might be able to draw some good lessons from the past and tighten the system. And I cannot resist quoting Nobel Laureate Amartya Sen “Globalization is neither new nor in general a folly. While we have good reasons to address difficulties arising out of globalization, we must be careful that we do not end up choosing the life of the kupamanduka (the frog in the well whose view of the world is confined to that space)”. P.S. Thanks for the link will love to read it. What can I say? I use Wallmart or Asda as it is in UK – the problem is these stores DESTROY all the local shops. And the local shops may source the local produce and serve the local farmers . Global Capitalism is by no means beneficial in its overall impact – it destroys and distorts the lives of the less privileged and creates junk wealth for the few . Be very careful India! – Great civilization – not yet destroyed!The sweet scent of your fields and the colour of your sarees and the multiplicity of life in your villages and rural roads – all this and much else ( including your unique driving!) is under threat…Americanization is NOT the answer. Find your own way. Do not be afraid to shun the terrible wrath of the oppressor – casked in a nice mall! Thanks John for both your replies on this contentious issue. You have analysed the threat and the greed of global corporations quite convincingly. Anyways now that these global giants are already at India’s doorsteps I wonder if its going to be a case of “from the frying pan into the fire”. Hopefully the watchdogs in our economy keep a sharp eye on any wrong-doings as we have had cases of mega MNCs like Enron, IBM and Coca Cola and others being packed off and out of the country for not following ethical norms. But ofcourse some have returned. Thanks I respect your views as it has added value to this topic. Very informative, cutting thru the detritus of hyperbole. In my view, as the Kofi Annan quote says, globalisation is a given. Also, as man continues to look for efficiency and improvement in life, large-scaling in many areas is a given. What we need to worry about is the quality of our lives. Not only today, but future as well. In the bright lights of a large corporation’s technology and reach, are we creating drudgery and meaninglessness in the lives of thousands who may be employed as cashiers, shelf-stackers and such like in their stores, as against being small traders and shopkeepers. I don’t know which is better, or worse. Walmart and Tesco may be overseas corporations, but the same threat of a lifestyle change could come from within as well. I am honored by your visit Ankur. I was delighted to visit your blog and enjoy your humor and creativity. Yes I entirely agree with your reservations on the possibility of ‘drudgey and meaninglessness’ happening with the big stores formats. However I may like to to believe that given the prevailing high unemployment and a growing economy the ‘aam admil’ may still benefit in economic terms. I just said it and say it again. These are the same corporations that steal the patents for life of your very planmsts and animals. Are you going to sit their and let them steal your birthright?! Dont believe the stupid self serving myths. NO wealth trickles down. The wealthy Indians will get wealthier. A few acolytes will get the cream – AS THEY DID AFTER the British Empire -and the vast majority will be enslaved. If you want to argue with me I challenge you to visit the squalid gang ridden housing schemes of Britain and the misery of the lives of the oppressed. Visit Hulme in Manchester, Easterhouses in Glasgow, Muirhouse in Edinburgh.. Talk to the So called beneficieries of Wallmart. Then speak what you are speaking. India has huge resources and a wonderful knowledge and cultural heritage. Globalisation is a given but does not have to be a taken. Stupid Stalisnism is not the only alternative. Fight corruption everywhere. Seek SOCIAL JUSTICE! According to my opinion if FDI (Foreign direct investment) bill is passed in the Indian parliament, it will be a complete changeover for consumer, trader, the middleman and the small farmers. All these are also scared that they will not be benefitted and it will affect their business. For small farmers of India, Walmart will need to create a system to contract with thousands of them. To be successful in India,. Walmart should develop a vision for India that goes beyond profits. In any kind of business, people are the most important tool therefore, good ethics and corporate social responsibility can be the key factors for the success of Walmart and in that way can win the confidence of Indian consumer and farmers. Hi Tarun welcome to the blog. That’s a well balanced analysis. You are quite right in concluding “Walmart should develop a vision for India that goes beyond profits”. I appreciate you taking the time to give your comments. Totally agree with you Dilip. I think we just might benefit in the long run from the entry of Walmart and such, rather than the other way around. And in a country as diverse as ours , i don’t see the Kirana disappearing in a hurry. In the posher areas of large metros maybe, but not in others. Thank you for a well researched post. Madhu Nice to hear a ‘positive’ comment in favor of Walmart. And I do hope that our farmers benefit and employment gets generated too. The post is very much informative. But the subject is very much sensitive and controversial .I strongly believe that the government should build up consensus among all political parties before go ahead with the FDI in retail. Moreover Walmart’s entry in Indian market does not ensure employment generation. We definitely have to create a balance between Demand and Supply. I also believe that we have to ensure that Walmart strictly pick up 70% employee from India .walmart would be only a success story if we find out their outlets in Interior areas whereas every Indian get the benefit from them. I’m not against of allowing Walmart to enter in India but we need a strong regulatory body (like RBI, SEBI, TRAI etc) to monitor their operations. How can we forget about the “Bhopal Gas” tragedy or the recent black money debacle? Country like Japan and France not much in favour of walmart. I’m completely failed to understand why domestic retail companies need a partner. Don’t they have enough wealth to meet up the demand of Indian economy? I’m more in favour to protect the right of Indians though Indian companies have to compete with the Global players. 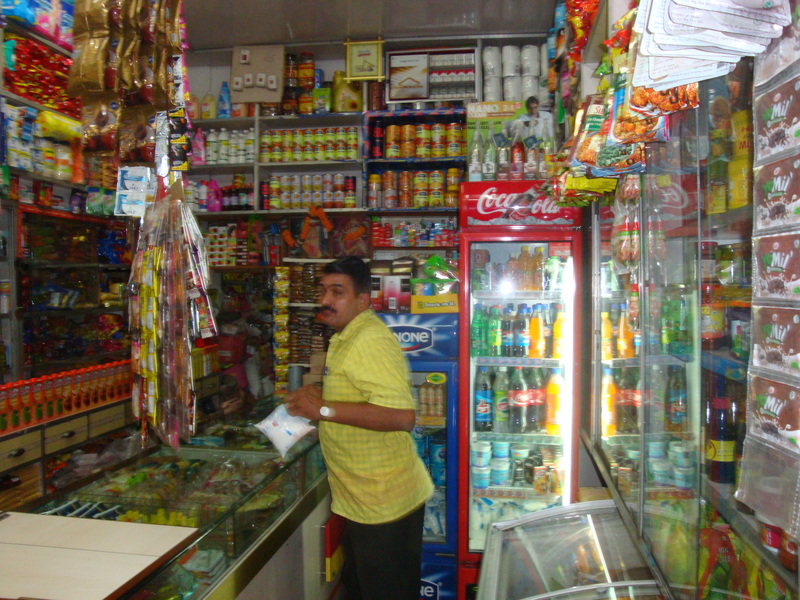 Though the Kirana stores gives credit to the customer but they don’t forget to recover the interest by hook or crook. I think the Big players like Walmart, Tesco will be a real threat to them. You reservations are quite understandable and your suggestion on having strong regulators right too. Well the regualors are already there and they defintely need to be alert but not obstructive. Globalization is a fact of life and if not this government the next one too may not go against FDI and entry of MNCs like Walmart. True Sir.But again we have to ensure that the Govt should not have a vested interest while allowing MNCs. yes the policy should not be obstructive but preferably bit conservative. despite the presence of regulatory body we couldn’t able to prevent 3G 🙂 ! Indians should be benefited when there will be equal distribution of wealth.I wish for a day when a farmer of a village proudly enters at the nearest Walmart store and buy his household stuffs. I definitely understand the value of Globalization (love both the quote of Prof Amartya Sen and Mr.Kofi Annan) but bit cautious after the POSCO and VEDANTA debate. my quote for the reference of Indian Govt- “Right is right even if no one is doing it; wrong is wrong even if everyone is doing it.” ― Saint Augustine of Hippo. I wish you & all your readers A very Happy and Glittering Diwali ! Thanks and good wishes to you too for a happy and peaceful festival of lights! Hello Dilip ji, Thank you for stopping by at my blog! I wanted to return the favour and am glad to have done so. This is a very interesting post about a topic that I was thinking about since I first heard about Walmart’s debut in India. Personally, I think it is a bad idea. Walmart has a bad reputation of cheap quality products that they sell at cheap prices, thereby virtually bakrupting small stores. Furthermore, they have, as some one mentioned above, very bad employee benefits. This is something that they practise in the US; I ahve no doubt they will find similar loopholes in India and use it to their advantage. Just my two paisa thoughts! Hi Roshni its indeed gracious of you to return the call. Read your thoughts on Walmart’s India role and I appreciate the same as you speak with experience of US and India. You are spot on about Walmart’s failings on a number of issues yet where India is concerned the jury is still out – good or bad? I do not understand much economics but I must say that the post was informative. Regarding my view on FDI…I don’t know…Were the farmers in benefit by the incoming of Reliance and other such companies? Hey Arindam nice of you to stop by and comment. Reliance Retail is reported to source from farmers directly in some locations and in some places they establish collection centres. I am not sure of the statistics as to how many farmers etc. Very thoughtful post, my friend…thumbs up! A wonderful aalysis of both the pros and cons of the topic! Indians are known for their resilience and rallying around new situations; I really hope all the kirana stores and the farmer-suppliers will learn to adapt to the continually dynamic demand-supply chain and competition and stay afloat…. Thanks! I share your hope for a good and fair deal to the farmers. Yes we Indians are quite open minded to welcome new ideas and concepts. Afterall Walmart’s business model relies on low price through great logistices and support to its value chain. They have failed in a few places but today, Walmart operates more than 10,000 retail units under 69 banners in 27 countries. Lets hope for a win-wiwn in India. WALMART is good or bad for Indian economy?? Everything has a positive and negative sides. 1) Foreign companies will invest their money in India. It means Capital is coming in India. 2) Remover of Middle People i.e. Commission Agents. Farmers & End User will get benefit. 3) Opportunites of New Job in the market. 4) Less Chance of adulteration. 5) Organise Sector. 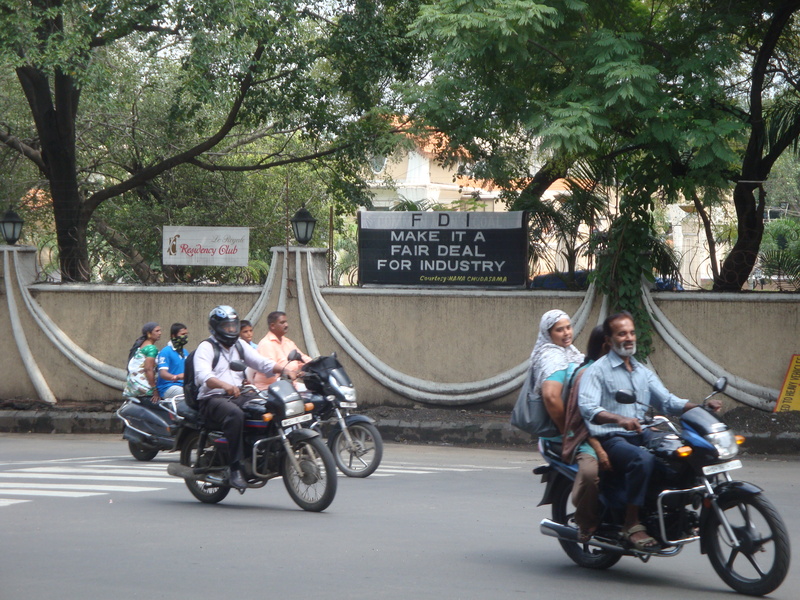 Indian Business Leaders will change their Business Model according to it. 6) Make our business man to compete with their quality. Ultimately, end user will get High Quality Product. 7) It also gives Lifestyle to Urban People. 2) Have a chance to manipulate farmers because of large quantity purchase and there will be no Govt. Interference. 4) It will not help much India to increase its GDP. It’s an opportunity for Indian Business to learn from them about the standards, quality control, pricing and many more things. I have read a book Mr. Lee Icococca in which he mentioned that after Pearl Habour, Japanese put the high taxes on Imported goods and low taxes on domestic. To increase the adoption of JAPANESE ECONOMY. I think so we have to learn a lot from a country like Japan who stood among powerful country US. They maintain the standards, produce high quality product and technology. FDI is GOOD for INDIA but Instead of it if Indian Govt. use the stategy of LAW REFORM. But they forget that the ratio of Literate people is raising day by day. You can’t fool them. Hope Indian Economy will get recover soon. A nice analysis which gives a balanced view of Walmart’s India roll-out. Thanks for your time I really appreciate. While I am personally all in for more of a variety and would welcome Walmart, my heart goes out to those poor farmers and people who would be the real losers once it does come up. I wish something could be done for them, or somehow if they too could be made part of it, which would make things much more better. Thanks for sharing your views Harleena. I empathise with your concern for the farmers. Yet I feel Walmart with all its global learning would know better than to hurt the farmers. Walmarts model and their value chain are based on giving the farmer a deal by eliminating exploitation by the wholesalers and the middlemen. Also you are right Walmart is known to coopt the wholesalers and the village folk into managing the value chain. You have succeeded in your ex. of collecting the pros & cons.of Wlmart coming to India. People were excited when More;Spencer ane Reliance came up all together. And .”Subhiksha” had to packup soon. You have a personal contact with your Bania. Your grocer sometimes advises you about likely increase in prices. Will Walmart do it ? Even Spencer etc donot do it after all these years. What is our experience with Sanju (dudwala) and Babulai (baniya) who are in our colony. I think it speaks a lot. We always talked of personal touch with troops. Lets not forget its advantages. Suhas my friend .. you may be right in scenting some cautiousness in the views expressed by our blogger friends. But then this is quite natural as we cannot be sure how the implemenation actually pans out. Resistance to change is bound to happen. In a fast globalizing world and a large and progressive country like India we need to grow by achieving a balance between the videshi and swadeshi ideologies simultaneously. Thanks for such a comprehensive post, which is informative yet lucid. I feel there’s room for large players in Indian retail, and they will coexist alongside the Kiranas. They have a very different customer base. I’d still prefer the Kirana stores as I personally dislike the inconvenience of “shopping”…the security frisking at the entrance, the long queues at the billing, the longer queues at the “10 items or less” counters, parking issues…but I am sure many/most people wouldn’t mind it. That accounts for the diversity of customers’ preferences. On a more serious note, I hope this move brings in more (and critically needed) investment into infrastructure like cold storages, transportation et al. 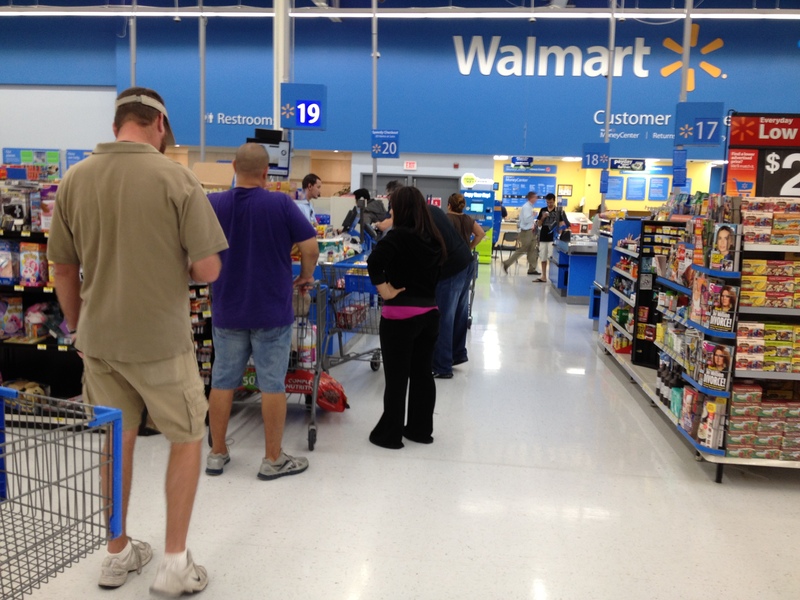 A strong regulatory policy needs to be in place to avoid the “Walmart type Woes”. The famed “trickle down theory” will hopefully work and resuscitate the economy. “Walmart type Woes” will need to be removed most likely by Walmart themselves if not they or any other MNC will never be able to play the global game. Being a good citizen in the host country is a prerequisite for success and sustainabilty. You will agree every buisness enterprise certainly have a profit motive but for success the profit sharing will need to be equitably shared among all the stakeholders. I believe India is a “Large”, “Diverse” & “Difficult” market to operate. Diverse: In terms of cultural terms, difference in tastes, likes dislikes, preferences, socio-economic profiles. Difficult: “Large” and “Diverse” market makes India very difficult to penetrate. This can be seen with so many large players like D-mart, MORE and many others it still corresponds to only 2% of the market share. Even with Walmart who is known to be among the best in logistics, they have failed in many countries. one of the core reasons to fail in any market is lack of understanding of the market itself and basics of ‘STP’ as is known in marketing. lets us see where is Walmart going to position itself. will it position itself to kill competition e.g. kirana stores? i do not think so…… what target segment will it target? e.g. will it be able to provide credit for its consumers like kiranawala does or will it be able to door deliver 1kg of sugar? the answer is definitely NO. 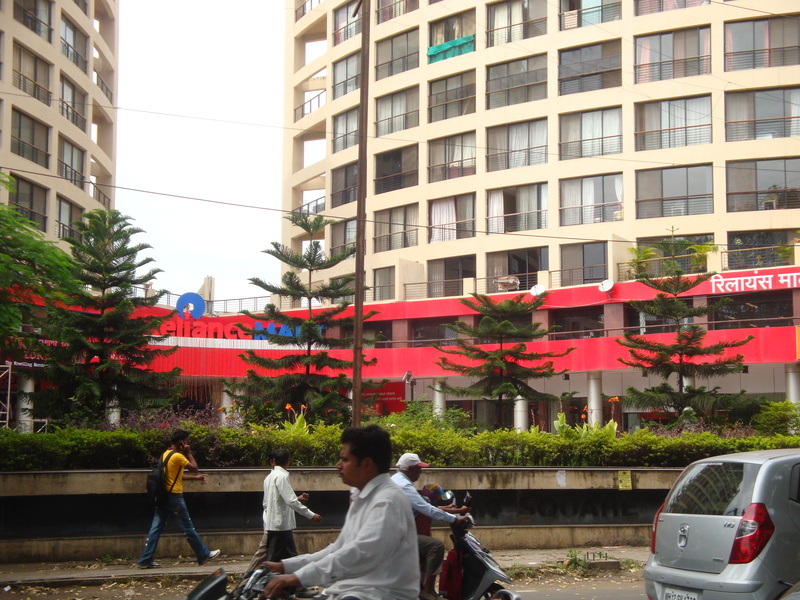 then will it position itself next to BIGBAZAAR or STAR BAZAAR? this segment is already crowded… well say it does that then what happens to the target segment, they will get one more option to choose from and not divert completely from BIGBAZAAR to Walmart…. 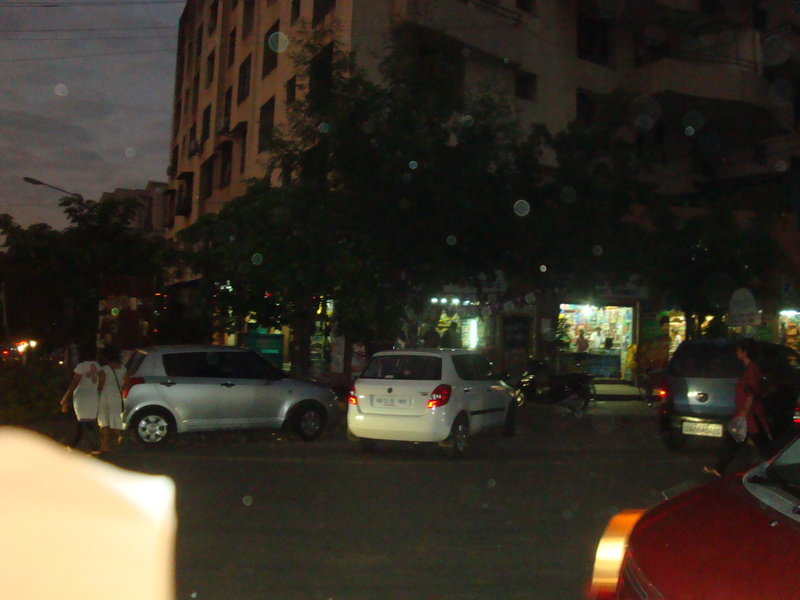 as for my opinion it will be just another option to already existing basket of options that we have … MORE, BIG BAZAAR, STAR BAZAAR, RELIENCE MART, SPENCERS, etc… in spite of all these options our neighborhood kiranawala has not lost his market and so it will remain. Your comments are comprehensive and touched upon some of the key issues that Walmart will need to garpple with. Oh yes for any marketing approach it is the Segmentation, Targeting, Positioning that holds the key.You are quite correct in assuming the likelyhood that they will position themselves in the Super and Hypermarket space. But whether Walmart will be just another Big Bazaar or will they create a marked differentiation in terms of their Quality, Price and Customer experience is to be seen. 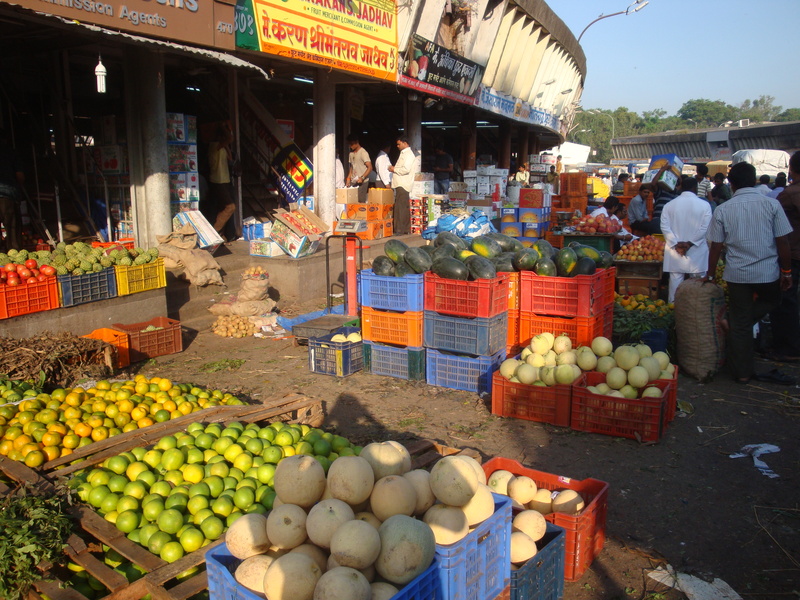 BTWyou may be aware of the market buzz – the existing Super Markets are not reaching the farmers effectively anymore. They too have switched to the Sabzimandi for their wet-marketing needs. I am not so sure about the seeds. What kind of seeds? GM ones? How much the administration can monitor? Lots of confusion. Lots of information in your post, that clarified my doubts. Thanks. As far as I know GM is not yet permitted for vegetables. And yes it is the smoothh execution of the value chain that will matter. After all how much can Govt. alone do? all stakeholders need to understand their responsibities. If profit is not the means then is it suggested that Walmart is for people. Why would a company like Walmart work for people in a foreign land? Having said that, the farmer appears to be benefitting ; at the cost of consumers. Good old bania is an independent entity. Does not pay kickbacks to Govt . Walmart will pay big kickbacks to the top Govt functionaries & bal will be taken away officially. Consumer will have to travel long distances, suffering the roads, the crowds, the accidents, the parking problems. Hi Roshan … the aime of the exercise is to invite all views – for and against. I respect your take on Walmarts India and your reservations. The interesting part is that if a corporate with 8,500 stores in 15 countries does not get its act together in India it would be a poor commentary. Lets wait and see how it pans out. At present with their JV with Bharti they seem to be doing well. But we need to wait ans see. Thanks my friend for your frank views. THe thing is Will walmart go directly to farmers .. because if they dont then , nothing will change for the farmers .. it will be the middle man again who takes it all .. Lets see how it actually works .. because I honestly feel the People who feed the nation instead of being the RICHEST are the poorest .. and that is such a shame to the whole of our great nation .. Excellent comments Bikram. You are right Walmart just will not succeed unless they source directly from the farmers. Media reports reveal that Bharti Walmart has already contracted with 3500 farmers as of now and expect to ramp up to 30,000 in the next 3 to 5 years. Yes I share with you the wish that the poor farmer now gets a fair share of the sale-price. when i read about the history of walmart in Mexico, I got scared of having them here. Secondly they dont have a good reputation in employment and employee welfare..
Renu you are quite right no MNC can stay long if they do not respect the local culture and needs. I feel Walmart is already learning the ways with their JV – Bharti Group. That was very interesting. I’m not really sure when large supermarkets took over here, but I believe it was post-war (WWII). Before that, I think most people shopped at the local “corner store” as we call them. A small shop with a little bit of everything, with the owner usually living above the store. These places were quite numerous, even into the early 70’s. There are very few of them now, mostly replaced by large supermarkets and medium-sized chain run stores like 7-Eleven. Hi Binky many thanks for your inputs. I wonder whether India too will go that way but being such a large and densely populated country big stores mat take a long time to edge out the small shops. But one never knows! I appreciate your making time to comment. I am happy to reply “Namaste” to you Marina!